Today is the day for my daughter-in-law’s baby shower up north, so I’ll have pictures of finished baby items in my next post, but I did finish a couple of other things in the last week. My generic toe-up socks are done. They are, as someone once said, fraternal twins rather than identical, but I’m good with that. 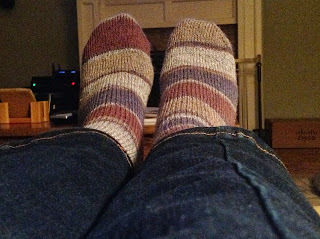 Yarn used was Patons Kroy Socks. I feel like I’ve mastered toe-up sock knitting, although I will at some point experiment with different heels. So far, I’ve used only a short row heel and that’s fine, but I have always liked the heel flap on my cuff down socks - just seems so much sturdier. And now that I’ve learned to knit toe-up socks, maybe someday I’ll get back to that sock design that’s half charted and laying on a corner of my desk. 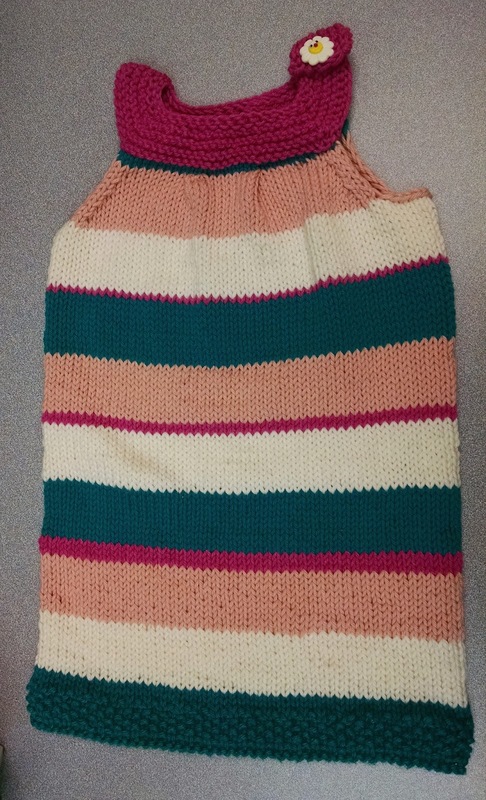 I also completed the little dress for a coworker’s baby. The picture is lousy because I shot it quick at work with my phone since I forgot to take one at home. The pattern is Emma Tunic by Jennifer Alexander and I used Knit Picks Comfy Worsted. The baby's name is Emma, so I couldn't resist. I didn’t embellish it as much as I’d have liked, but I just didn’t come up with the right idea for it. Turns out, the wee girl will be swimming in it for a good while. Usually I knit things too small - this time too big. C’est la vie. Last Sunday was Mother’s Day and my darling daughter got me a beautiful orchid. 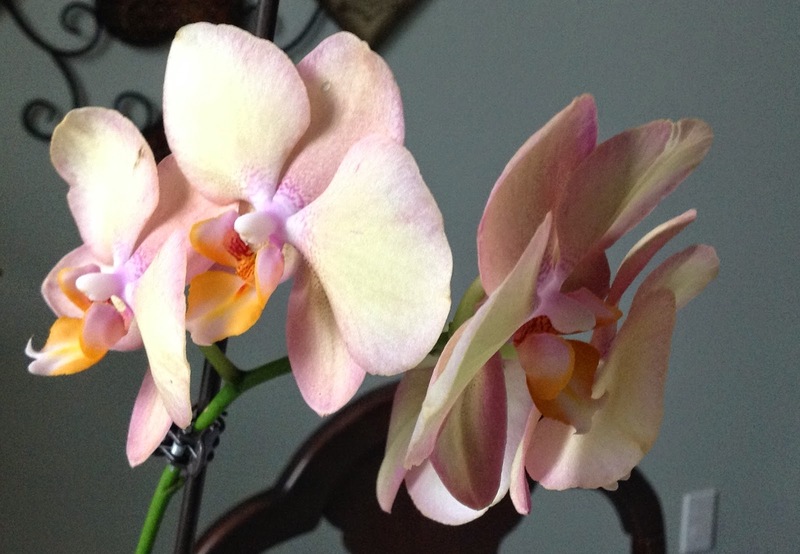 Since one of the doctors I work for got us all orchids as a gift over a year ago, I’ve become quite fond of them. I love the color of this one and hope it does as well as my first (read, hope I don’t kill it).